Mother's Day is quickly approaching and I'd like to recommend a fabulous gift set in the form of Chocolat, the movie and the book. Chocolat is on my list of my favorite movies and I loved the book, too. I think they are perfect for Mom on Mother's Day. 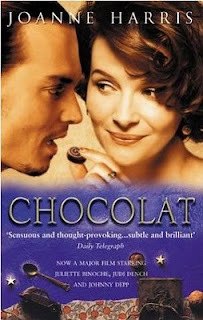 Chocolat was written by Joanne Harris and was Joanne Harris’ first novel. It tells the story of a chocolate maker who arrives in a quiet French village with her young daughter and proceeds to weave her magic on the local villagers. However, her bonbons, cocoa and patisserie are not welcomed by all and the she must struggle to win friends and supporters. The Chocolat movie, of course, is also delicious whether enjoyed in DVD or blu-ray form. It is a film from the year 2000 that was directed by Lasse Hallstrom and starred Juliette Binoche, Johnny Depp and Judi Dench. It received five Academy Award nominations including Best Actress, Best Picture, Best Original Music, Best Adapted Screenplay and Best Supporting Actress. Any female Johnny Depp fan will love this movie. 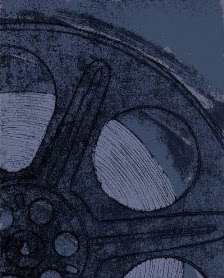 Many times you either love the movie OR the book, but this time, you can savor them both. The book and the movie would make a wonderful gift set for Mom or any woman who loves a beautiful story. Of course, it would be a bit tastier if you added just a wee bit of chocolate, too! Click here to order the hardcover version of Chocolat from Amazon. Click here to order the paperback version of Chocolat from Amazon. Click here to order the Chocolat movie on blu-ray or DVD. I missed your comment, Priscilla! Yes it was based on a book and both were equally delicious.